Our Budget Direct Health Insurance review gives you the opportunity to compare features and benefits available on their Hospital and Extras cover options. With health insurance from Budget Direct you choose your doctor, surgeon or specialist. Not only that, but their Hospital and Extras mix-and-match packages help you choose the right cover for your current stage of life while minimising out-of-pocket-expenses. You’ll also get to choose between 50% and 85% back on your consultation or treatment cover, depending on the policy you choose. ComparingExpert does not currently have access to this provider. Visit www.budgetdirect.com.au to request a quote and compare their price and benefits to the Australian private health insurance companies we have access to. An active, healthy lifestyle has far-reaching benefits. Not only does it help you face the future with confidence, it enables you to continue to provide for yourself and your family. Having the right health cover helps you maintain financial control during times of ill health or injury. Budget Direct Health Insurance wants to help you feel in control of your life, despite unexpected situations, like medical emergencies, derailing your plans. They’ve been awarded the 2017 Winning Insurer by Money Magazine, Australia’s highest selling, longest-running and most-read personal finance magazine. Budget Direct Health is owned by GMHBA Health Insurance, a member-based, non-profit health fund which has been in operation since 1934. GMHBA is one of Australia’s top health insurance providers. With cover options like Budget Direct’s Family Value Package and Single Parent Membership you, your partner and anyone under the age of 21 living with you, including adopted and permanent foster children, can receive proper health insurance. Student dependents remain covered until they turn 25 years old, at which point they will need to decide whether they want to be transferred to an equivalent or lower level of health insurance. A waiting period will not need to be served if they opt for transferring within the Budget Direct range of offerings. Budget Direct Australia has a variety of packages you can choose from. You can opt for an existing pre-packaged Hospital and Extras bundle or you can create your own unique mix-n-match cover. Select one of the three levels of hospital cover: Public, Mid or Top Hospital. Choose your Extras Cover: Basic or Top. Top Hospital: Covers all medical services, giving you private privileges in public and participating private hospitals. Mid Hospital: Offers good coverage but with limited services. Public Hospital: The most affordable and most basic level of cover, offering only the essentials. Note: Services are covered as private patient in a public hospital. Basic Extras Cover: Some of the Extras you’ll receive cover for includes chiropractic, physiotherapy, dental, and optical. Top Extras Cover: Similar to Basic Extras but with higher annual limits and it includes more services like podiatry, occupational therapy, psychology and speech therapy. A waiting period is simply a period of time that must pass before you can claim. Meaning you will only be able to start claiming for services and treatments once you’ve served your specific waiting period. This applies to both Hospital and Extras Cover. Alternatively, if you already have private health insurance and want to switch to Budget Direct you may not have to re-serve the waiting periods you’ve already served with your previous insurer. Take note: Should your new Budget Direct Insurance have higher benefits than your previous cover, you will only be able to claim on those higher benefits once you have completed the standard waiting period. 12 months for major dental procedures (including root canal treatment). 6 months for optical services. 12 months for obstetrics, maternity care and pre-existing conditions. 1 day for ambulance transport and accidents. As a Budget Direct Health Insurance Policy Holder, you are rewarded you will receive a Rewards card and unique number or passcode. This gives you access to the Rewards Program and will be mailed to you within 15 – 25 days after your membership joining date. How to submit a Budget Direct Health insurance claim? Making a claim on your Budget Direct Health insurance can be done online or by post. Alternatively, you simply need to present your membership card when you are admitted to hospital, and they will take care of the rest. For Extras cover you can swipe your membership card through the health care provider’s electronic claims terminal. Should your service provider not have electronic facilities, you will need to pay upfront, then claim online. It is important that you keep your receipt for two years, in case of an audit. Once your claim has been authorised, you only need to pay for the difference between the full amount and the amount Budget Direct has agreed to pay. If I’m a member, do I automatically receive ambulance cover? Yes, Budget Direct members do automatically receive ambulance cover, as disclosed under your hospital benefits. In fact, you’ll receive cover for all clinically necessary emergency ambulance services. However, it is recommended that you also check with your state’s ambulance authority to ensure you are properly covered for non-emergency ambulance transportation. Does Budget Direct cover my child during their studies? Yes, student dependants are covered under their parents’ family or single parent membership policy until they turn 25 years old, after which they are given two months to organise new health insurance for themselves. Find out more about which health insurance policy will fit your needs and budget by comparing policies online. I’d like to see if you can get cover for a purchase of a breast pump on your policies. I currently already have a policy not sure if it’s covered or not and if not what would be an extra cost? Great question, thanks for posting. Whether your private health insurer would give a rebate on breast pumps depends on the type and level of coverage you have and the health insurer you chose. Be sure to check your health insurance documents. Depending on whether you’re starting a family or are a new family you might want to compare the best health insurance companies for pregnancy or determine which companies offer the best cover for young families. I am looking for Hospital and General Extras with a $250 Hospital excess per year for a pensioner named Mohinder. He is 75 years old and lives in South Australia and has never had private health insurance before. At present, his health is good except for a knee problem which may need to be replaced in the future. He has only one lung but does not seem to experience any difficulties. I am assisting him because of a language issue. He is an Australian resident (naturalized Australian). His teeth are in good condition at present. Hearing Aids going through the government system and he may need spectacles in the future. Please, could we have a quote? It’s is very kind of you to help Mohinder. Let me start by addressing his health. 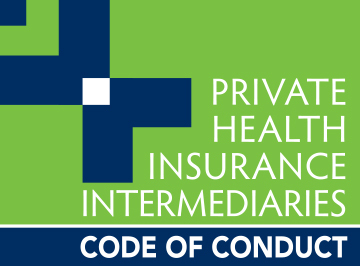 Private health insurers must cover treatment for pre-existing medical conditions. However, most health funds will impose a 12-month waiting period before you can claim any benefits regarding a medical condition that existed prior to applying for the policy. Private health insurance for seniors can range anywhere from $1767.48 per year, depending on the insurer you choose. My main concern is the lifetime health cover loading, which might increase Mohinder’s premiums by as much a 70%. I would urge you to please fill in the quote form above or call directly on 1300 786 328 so a specialist can assist you. I already have extras cover and am enquiring about adding basic hospital cover. To better assist you, we need a bit more information, like the state you live in and whether the cover is only for you or for you and your family. Kindly fill in the quote form above and a specialist will help you. Hi, expert my name is Neil Rogers membership no 331***. Can I claim for a nebuliser as I need it for acute asthma? I have top hospital only policy. A nebuliser generally falls under health appliances and are usually covered under Extras policies. So, if you have a hospital plan only you might not be covered. However, it’s best to contact your insurer directly. You can call Budget Direct health insurance on 1300 665 623. My Wife and I have separate health policy with CUA. We do not pay an excess and have the top policy. We are a very healthy 78-year-olds. Could you please advice and quote? Thanks. To provide you with a quote we need a bit more information, including the state you live in, whether you want a Hospital only, Extras only or Combined policy and whether you’re looking to pay less in premiums or need cover more suited to your specific requirements. Please give our specialists a call on 1300 786 328 or fill in the quote form above. I have been a member of Budget Direct Health Insurance and Budget Direct Car Insurance for the past 3 years. As I was reviewing my policy today, I noticed as a BDHI member I should be receiving 15% off my Budget Direct Car Insurance payment each year. I don’t believe I have received this over the years and was wondering how I claim this discount before I pay my next annual fee. I do have a Members Card, but I don’t have a Rewards Card. Could you please let me know what I have to do to use this discount, please. Concerning company rewards and discounts, it’s best to contact the insurer directly. You might want to visit their website and navigate to their existing customers’ page for more information.